While the rest of the city was making their way to PNC Park, roughly 1,000 loyal Penguin fans waited for the doors of Stage AE to open. 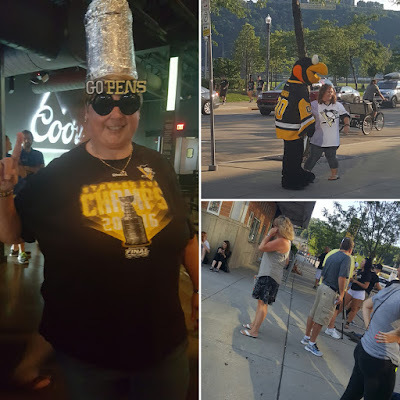 Fans were telling stories about their experiences, feelings throughout the season, being entertained by Iceburgh or fielding questions from Celina Pompeani of PensTV. 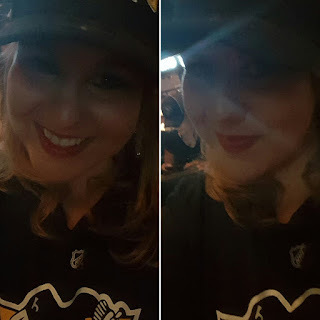 I did spot a little conflict of interest however - word to the wise - don't wear another teams gear to a championship celebration event, no matter how small it is. 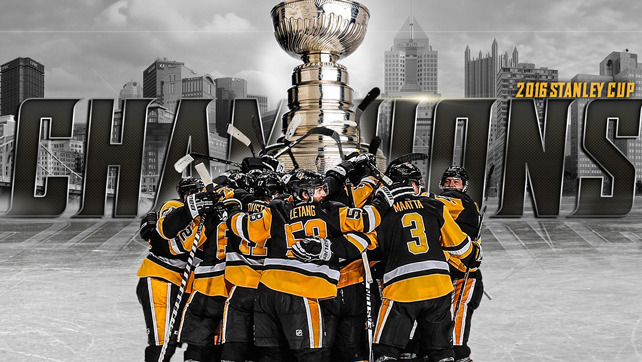 It was another night to celebrate the momentous Stanley Cup Championship win as the Penguins organization held a premiere night for the newly released DVD chronicling their season and march to the Cup. 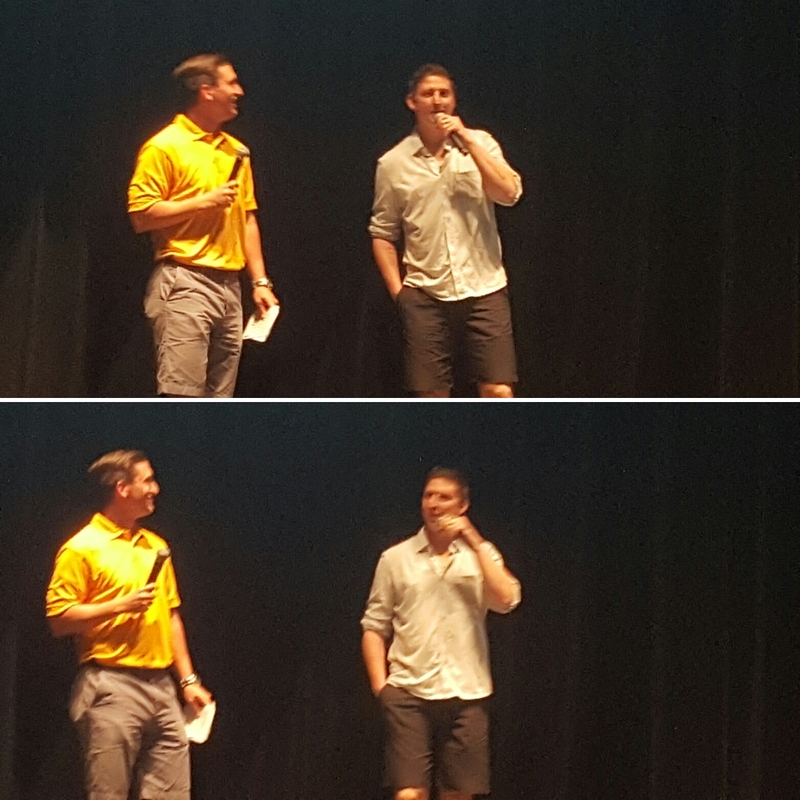 The event was hosted by Penguins radio host Josh Getzoff and newcomer to Penguins radio (and former Penguins forward), Colby Armstrong. As fans made their way into the concert space, partook in a few adult beverages and found a seat, Getzoff and Armstrong talked about the season as well as ran some clips from the playoffs. Prizes were also tossed into the crowd to the delight of fans (t-shirts, hats DVDs, etc). A side note: I do no suggest throwing DVDs. It is dangerous and not a smart idea all around. 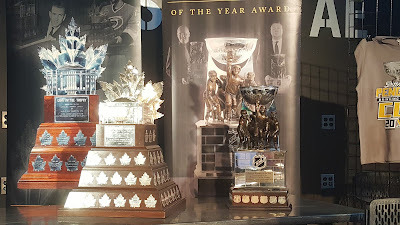 The Cup was not available for the event (it with Derrick Pouliout), the Prince of Wales, the Conn Smyth, and the GM of the Year Award trophies were all on hand for fans to take pictures with. Attendees were also treated to a surprise announcement. 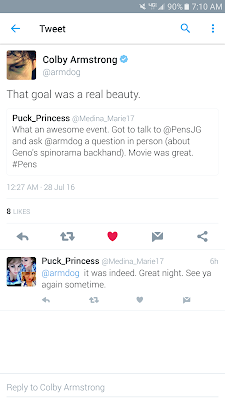 In honor of the Penguins 50th anniversary, a documentary is being filmed about the team and will air sometime this fall (no specific date was given). 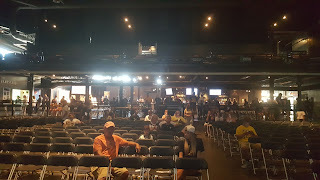 They were also rewarded with being the first to watch the trailer for the documentary (the trailer will give you chills when its made public). Once everyone was in their seats, just before 8 o'clock PM, Josh Getzoff did a live "Ask Army" segment (which is Colby Armstrong's usual segment for 11 On the Ice on WPXI). Fans raised their hands to ask his opinions on topics like his experience rooming with Sidney Crosby, how he felt watching the Penguins raise the Cup, and I personally asked him if he thought Evgani Malkin's Spin-o-Rama, backhand shot to top shelf against Edmonton was one of the top 5 plays all season. He answered all questions with his dazzling smile and thoroughly explained anything needing more in-depth detail. A little after 8 o'clock the lighted dimmed and the DVD was shown. Fans reacted to the many game moments much like they would if they were re-watching the game at home. A lot of laughter, cheers and yes, even some "whooo's" could be heard coming from the crowd. 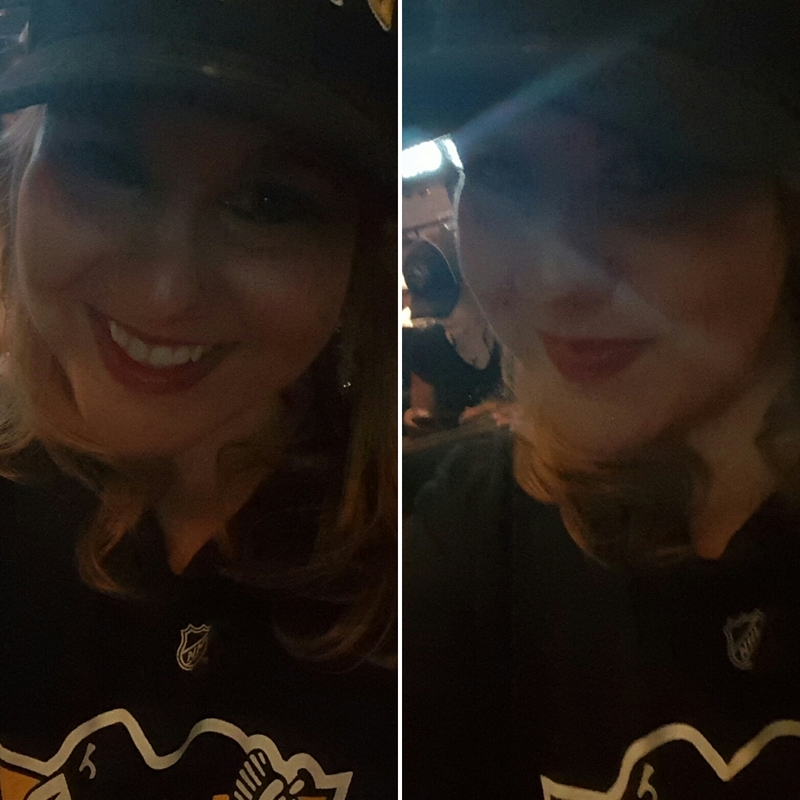 Tears were even shed during the final minutes as we all re-watched Trevor Daley and Pasqual Dupuis hoist the Cup overhead and recount their feelings. Some of the loudest cheers came, of course, while watching Phil Kessel raise the Cup on stage at the end of the victory parade. 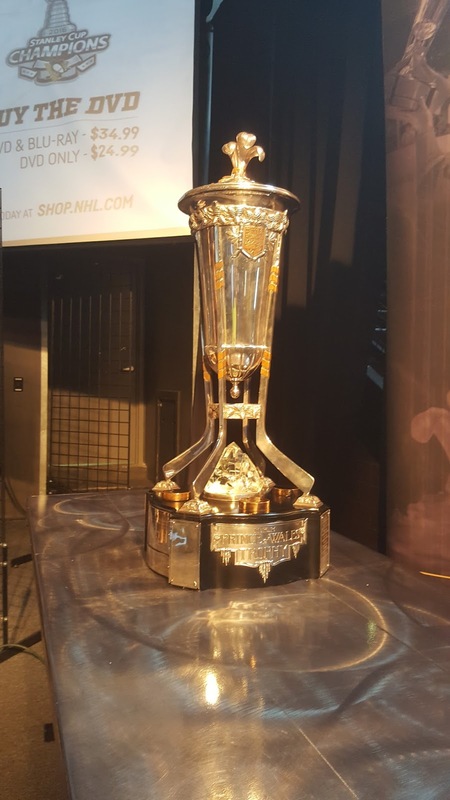 It was an incredible evening and a great way to re-live the excitement of this years season and Stanley Cup run. Below are some other pictures and a clip from the event as well for you to take a gander at. This team is something special and so are it's fans. 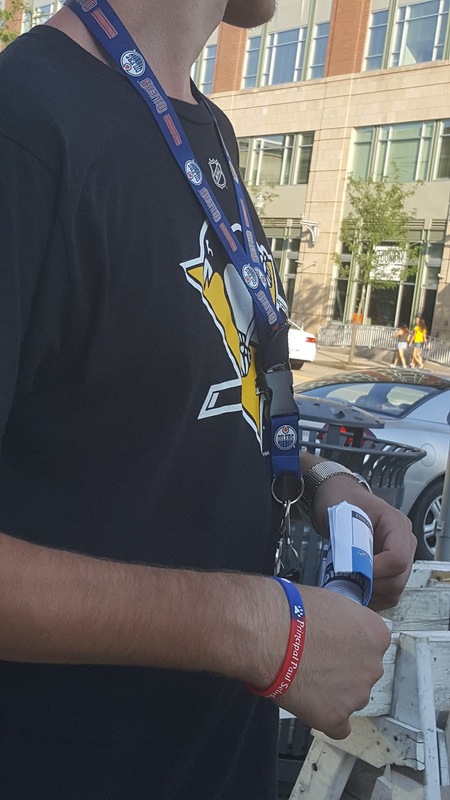 So as head coach, Mike Sullivan, said: "Let's do this again same time next year"
Fans make their way into Stage AE for the premiere. Had a great time! Let's do it again next year! It was an incredible evening and a great way to re-live the excitement of this years season and Stanley Cup run. Nice post , Thanks you for sharing . ..
What you share is great. Thanks for sharing.